It’s late August in Southwest Florida. Under the cover of darkness, we back the 24’ center console down the boat ramp. Splashing into the upper eighty degree water. It’s an hour and a half before sunrise as we begin making way towards the Gulf side barrier islands of Sanibel and Captiva. Our Q-Beam lamp darts across the surface chop as we round a string of buoys. It’s a short run seven miles up the coast line to a protruding beach point. I can already hear seagulls and pelicans crowing in the pre-dawn twilight. We kill the main engine and begin drifting fifteen yards off the beach. 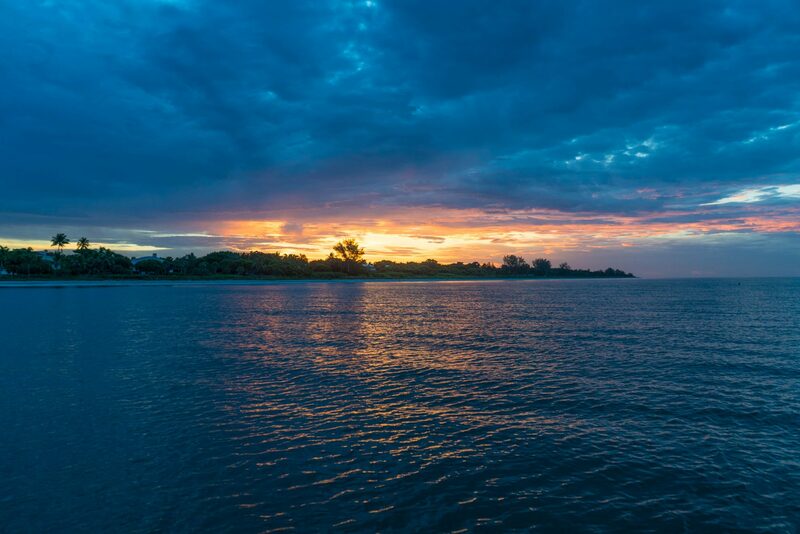 Calm mornings along coastal beaches are perfect for sight casting to migrating tarpon. Today, we’re looking for the Silver King. Tarpon inhabit the fertile waters of Southwest Florida for a majority of the year. 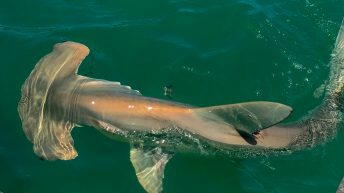 Migrating north in March through May and then making their way south again beginning in late August, sometimes hanging around through December if water temps stay favorable. We’re hoping to find one of the first strings of fish on their return migration through our coastal waters. It’s not long until we begin seeing glass minnows and juvenile anchovy showering along the sand bar. Birds begin diving from overhead as the first pangs of sunlight shoot across the horizon. We continue to pan the waters surface, looking for signs of feeding activity below. Another 15 minutes go by and we begin seeing the first signs of tarpon feeding below the minnow schools. Diving or resting sea birds are a tell tale indicator that baitfish are nearby. Tarpon, some well over five feet long, begin breaking the surface sheen and casually slurp through the minnows. This is the tell-tale sign of feeding tarpon. Each of us grabs our spinning outfits and begins casting. I’m throwing my favorite tarpon outfit, the Shimano TwinPower 8000, 50lb Power Pro Slick, 50lb Fluorocarbon Leader and my 8’ Heavy Action Sewell Custom Swim Bait Rod. We down-size our offerings for the tarpon, opting for smaller, dark colored four to five inch soft baits that closely imitate the available forage. 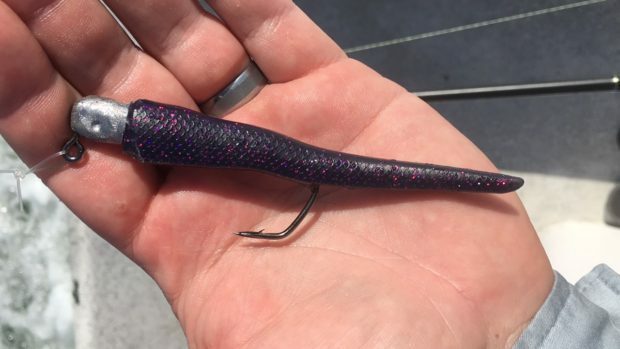 Downsized Baits Match The Hatch. It’s not long until one of our anglers is tight! The tarpon erupts several feet into the air, violently throwing it’s head side to side in an attempt to free itself from the hook. It lands sideways into the water with a large splash and immediately takes a powerful run towards deepwater. Several minutes go by as the tarpon wears itself out through a series of acrobatic leaps and deep, tugging runs. We pull her boat side, snap a few pics then prepare to revive the fish. Holding her bottom jaw underwater, we slowly idle along, allowing the water to run through her gills until she’s revived and shakes free of our grip. The fall tarpon season has officially arrived. Downsize your offering for finicky tarpon feeding on small forage. 1. Stay Coastal: Focus your hunt for tarpon along their historical migratory paths. It’s very common to find these fish in the exact same areas you targeted them during the spring spawning migration. Focus your efforts along coastal beaches in five to twenty foot depths. 2. Find the Forage: Unlike spring migration patterns that center around the spawn. 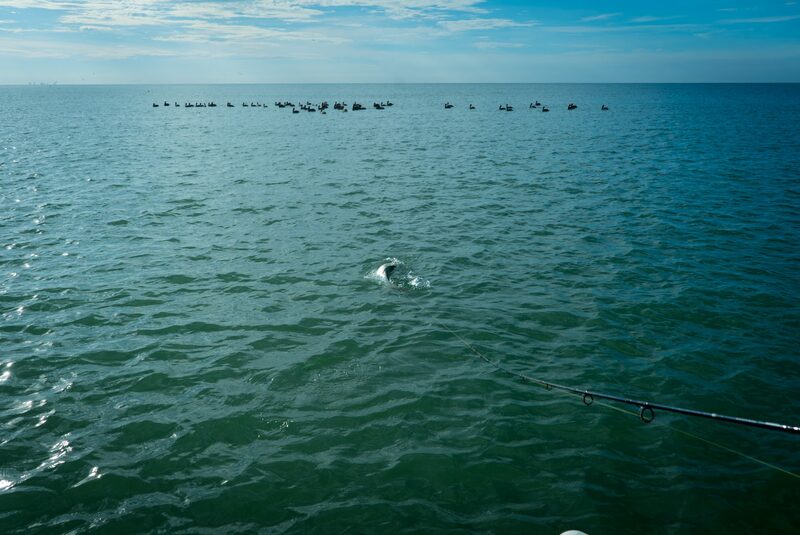 Tarpon migrating in the fall are interested in one thing. Food. For several weeks, these tarpon will actively seek out rich feeding ground along coastal beaches. If weather patterns and available forage are relatively stable, it’s common for these fish to stay in the same areas for a month or longer. 3. 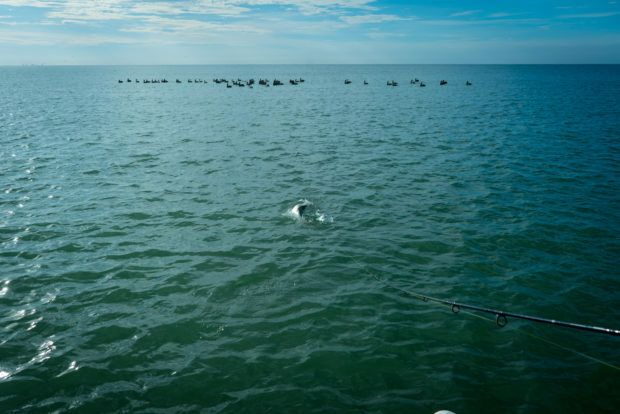 Follow the Birds: Don’t forget to look to the sky in your hunt for fall tarpon. Marine bird activity is a sure sign of baitfish in the water. On calm days, it’s easy to spot feeding birds from several miles away. Use this to your advantage while running the coastline. Find the birds, find the bait and often, you’ll find your fish. 4. 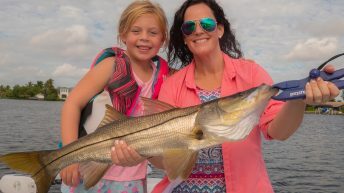 Lighten your Tackle: Unlike the full grown tarpon common in spring, many of the tarpon you’ll encounter during the fall run are of a more manageable size. 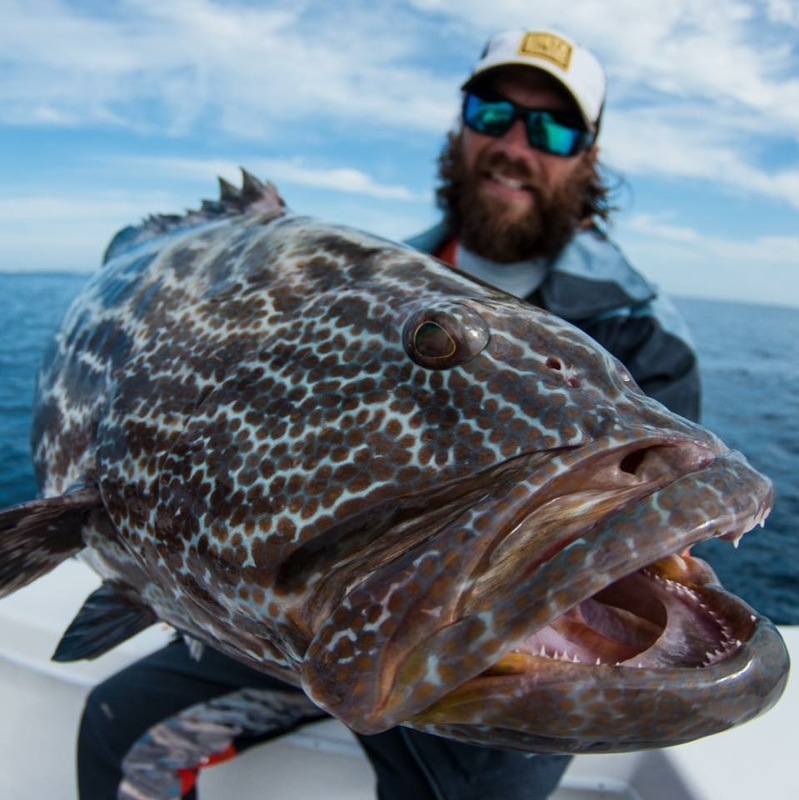 While large fish can always be in the mix, it seems that most fall fish are in the 50lb – 80lb class. Perfect for targeting with medium heavy tackle. 5. Forget the Live Bait: If you’re a die hard live/dead bait angler, do yourself a favor and give artificial lures a try during the fall run. These tarpon are here to feed and will often chase down well presented jigs, plugs and soft baits. 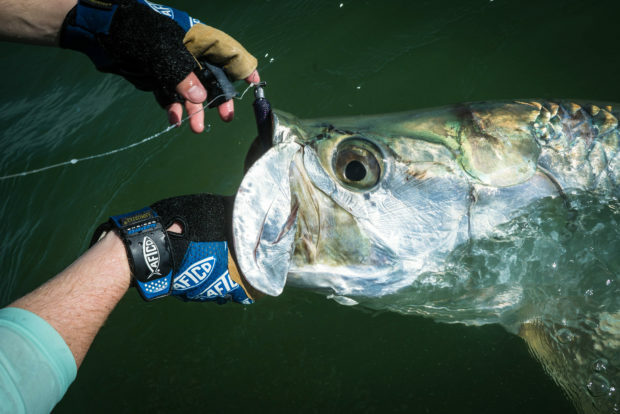 Not only will you save time and hassle tracking down live bait, but catching tarpon on lures is downright fun! 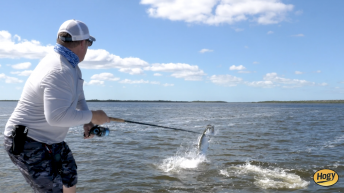 VIDEO: Tarpon Tips Put To Use!